DUTCHMAN Iwan Marks gets plenty of stares when he is on the road, especially when he travels to Little India. All eyes are drawn to his chosen mode of transport - his Royal Enfield Bullet motorcycle. "I get plenty of people asking me about the bike," he said. "Many people are surprised to be able to see the Royal Enfield Bullet outside of India." The 47-year-old works in aerospace manufacturing and is currently the vice-president of JCS-Vanilla, an aerospace manufacturing company. He has been a Singapore permanent resident since 2005. Mr Marks - who currently rides a limited edition military version of the 500cc Bullet - said he fell in love with Royal Enfield motorcycles when he moved to Chennai for a short period on work from 2007 to 2008. He rode a Royal Enfield Bullet during his stint in the southern Indian city, and it set him back by US$1,800 (S$2,200), including road tax and insurance. "I had to sell the bike when I returned to Singapore," he recalled. "Since my return, I had been looking for Royal Enfield motorcycles in Singapore." His search ended last July. "I saw the bike through a shop window in Bukit Merah, and I got it on the spot," he said. "It cost me about $7,000." He is so crazy about the Indian-made bike that he founded a Royal Enfield Owners Group, two months after he laid hands on his new bike. The club now has 23 members and growing. Most of the current members got to know him through the group's website or Facebook page. Mr Marks also gets new owners referred to him through United Motors, the sole distributor of the bikes in Singapore. "Fifty per cent of the group's members are Singaporeans, while 50 per cent are expatriates," he added. On the allure of Royal Enfield motorcycles, he said: "It's a machine with a lot of character, and it makes a nice sound. Its looks and design have not changed since 1955." Then, he added with a smile: "Besides, similar bikes like the Harley are costlier and a target for theft! There isn't a market for Royal Enfield spare parts." 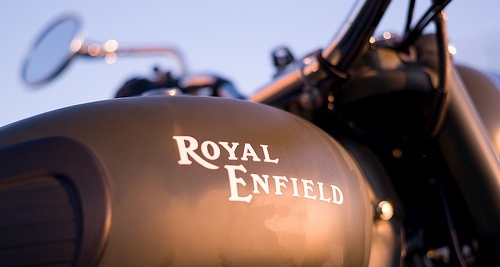 Royal Enfield is the oldest motorcycle brand in the world that is still in production. Formerly owned by the Enfield Cycle Company of the UK, the bikes are now produced by Eicher Motors in Chennai. The Bullet has the distinction of being the motorcycle model with the longest production run of all time. Its other claim to fame is that in 1955, it was chosen by the Indian government as a motorcycle for its police and army. 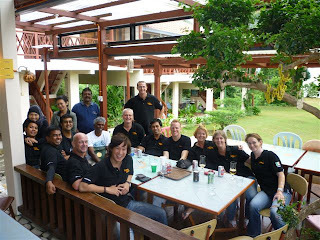 Mr Marks estimates that there are some 40 to 50 Royal Enfield motorcycles in Singapore. "It's important to find like-minded people and share the joy by riding in a group," he said, when asked about why he started the group. Fellow club member Adrian Ong, 34, agrees. The Singaporean PR, who owns a design and advertising firm, said: "I've been riding bikes since 2000 and I got my Royal Enfield in 2009. Joining the club allowed me to meet and ride with fellow riders - something which I enjoy." In fact, the Royal Enfield Owners Group Singapore recently organised a weekend trip to Mersing with the Johor Vintage Car & Motorcycle Enthusiast Club. Besides trips like these, Mr Marks said they also organise barbecues and get-together sessions regularly.